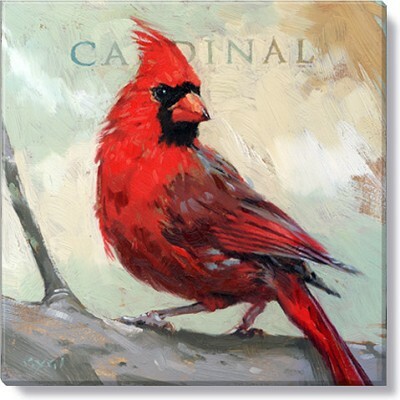 A regal cardinal stands at attention on this beautifully printed canvas that has been gallery wrapped on a solid knotty alder frame. From the Darren Gygi Home Collection, this 9" x 9" x 1" canvas looks great displayed alone or with a themed grouping; see other holiday designs. Made in the USA.